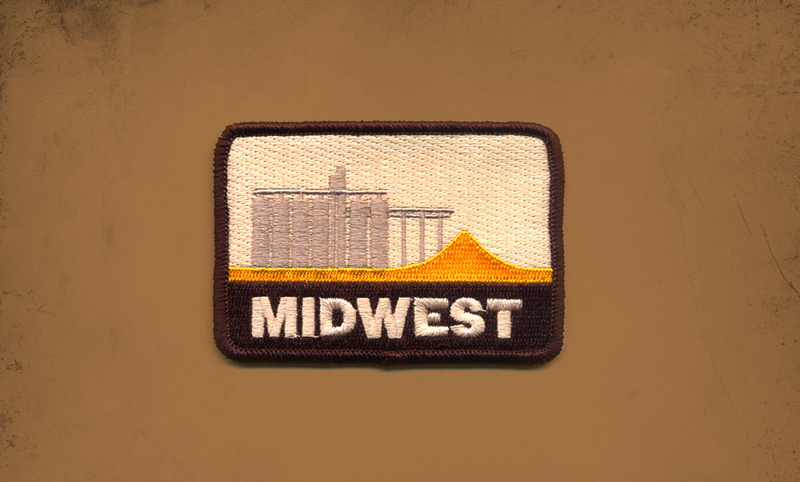 I wanted to design a patch that represented the Midwest and had those awesome harvest colors we get every year but yet also had elements that showed the landscape of the midwest. So I sat down with the old Field Notes and did up some quick sketches. I thought about those big silos that I would drive by out west and down around the places that my mom and dad grew up. The grain elevators were always busy around harvest time and with the overflow, it was cool to see the ground covered with that gold corn. So I mocked up this bad boy and sent it to American Patch. I am really looking forward to getting these in my hands.